Want to contact Helena? The easiest, most common way is to send her fan mail. For other purposes, you may need to look into researching the appropriate address. Please note: We do not have Helena’s personal address or contact details, and even if we did, we would not publish them. We value Helena’s privacy, and hope that her other fans do as well. In order to get a pair of customised jeans, you need to email Samantha Sage. For more information, visit our Pantaloonies page. Please note: we do not know whether or not Helena & Samantha still offer this service. Correct as of 13th April 2019. Read her agency’s advice on Sending Fan Mail. c/o Conway Van Gelder Grant Ltd.
Clearly mark your envelope with the words “Fan Mail”, and included a stamped, self-addressed envelope if you would like to receive a response. When writing fanmail, it’s important to remember a few points. Helena is a busy person as both a mother and actress, so if you do not get a response straight away, don’t worry. Check her current projects to see how busy she is (with filming or promoting). You should hopefully hear back in time (that is, if you indicated you wanted a response). We have no way of determining how long it will take, but be aware that it could be a year or more. If you want to receive something back, then make sure you include a self-addressed, stamped envelope. You must indicate whether you want a response or not, and give clear instructions if you’re after an autograph. Due to the volume of fanmail that Helena receives, you possibly won’t receive anything back other than an autograph, which may be one you’ve sent yourself or one of the standard photos. Be polite with your letter and take the time to make sure that it is readable – Helena will be more inclined to take the time to read them if you take the time to write them! Just to stress again, to get a response, you must include a stamped, self-addressed envelope in order to receive a response. If you live outside of the UK, you should ensure that your return envelope has fully paid postage with international reply coupons. Does Helena have an official website? 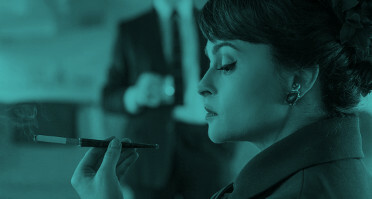 There is currently no official website for Helena Bonham Carter. Does Helena use social media? Helena does not have any official or public social media accounts. There is no verified account for Helena Bonham Carter and this has been confirmed both by Helena herself, and her personal assistant. Current known imposters are HelenaBCarter and HelenaBC_ (a very good imposter). Please note that HelenaBC_ is in no way affiliated with our site. There is no public or official profile for Helena on instagram. Helena possibly has a private account. Helena does not have an official or public facebook account and there are no private, personal accounts that can be found via the search feature. There are numerous fake profiles that claim to be, or claim to represent, Helena. None are official. There are, however, numerous fan-created groups and pages that support Helena. It is not known whether or not Helena has a private account. Helena does not have an official tumblr account, nor are we aware of her having a private blog. There are some fan-created MySpaces, but these are not official. Any persons claiming to be Helena are imposters. No. Again, there are fan created pages, but that’s it.